Could I have your opinions on this, please? "After being accidently involved in his girlfriend – a known youtuber – death because of a cockroach, young Ethan tries to find his happiness, while at the same time he deals with the antics of his workplace, a (really) late night live call-in tv show production." So then he comes next to her and they both try to get it right this time. Ethan is underneath, supporting her weight. But then a cockroach approaches his face, he screams, moves his body abruptly, she falls and breaks her neck. So that's how she dies. Actually, I'm still trying to figure if she was his girlfirend or one of his best friends, but girlfriends seems a better choice. My idea is that the story begins like 1 year after that, he got that call tv job after that situation. The death scene will only be shown in the end of the 1st episode, after one girl he's been dating knocks on his door and tell him she doesn't want to see him anymore, because she founds out that he was the one who "killed" that known youtuber. Last edited by AmateurD; 04-04-2019 at 02:35 PM. "Ethan struggles to find happiness after accidentally killing his girlfriend." I don't think the rest of it belongs in the log line. A lot of comedies OPEN with the tragic scene, and then after that it's all funny stuff. They dont end on a tragic note like a girl breaking up with you and feeling totally undateable. I'm not sure i would watch the second episode of that, it sounds like it ends on such a depressing note. End on something funny like he accidentally breaks the second girls arm. It sounds like you are trying to mix drama with slapstick. I can't quite grasp it. The thing is, only with that information, it's pretty much only a drama. My idea it's something that it's not pure comedy, but also drama. Would "Ethan struggles to find happiness after accidentally killing his girlfriend because of a cockroach" helps? I understand what you mean. That wouldn't be exactly the last scene, before the end something funny would happen. Perhaps that could work in something with both comedy and drama elements. My idea it's something like that yes. Both drama and comedy. Most comedy would happen through other quirky characters and also some situations that happen to the main character. But yes, drama would be present too. Any death it's dramatic, but this one would also have some comical elements with it, because it's a bit ridiculous. I'm just still struggling to find the right logline before start writing. Last edited by AmateurD; 04-04-2019 at 05:29 PM. theres a comedy series on netflix called friends from college. I think if you flip it, and the girl kills the guy accidentally it works better. She lives in a low rent apt. and sees his head on roaches that come out of the walls that she kills with her flip flop after talking to her (her imagination, guilt). Something about the guy killing the girl makes it less comedic. The times maybe. I dunno. Thanks, didn't know that series, will take a look. More and more "dramedy" shows are being done, some really beautiful written, like "Fleabag" and "Atlanta". Thanks, that actually sound interesting. I just don't think it would fit well, because he will live in the same house as another character. But that's food for thought, will think better about flipping it. 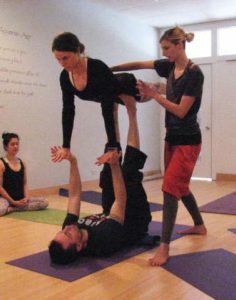 I just didn't get it exactly well, so they're doing that "acrobatic" position and let's assume he is on the bottom position. She's sees the roaches in his head and kill them with her flip flop. How would she "killed" him? No no no that comes later. Her boyfriend haunts her. She begins to see his head on the roaches in her apt., talking to her; "Why did you kill me??" However, the death should be funnier than falling off someone's back. That doesn't seem funny. It can include a roach but should be more extreme/funny. Oh now I understand! That's a good idea! And could be used throughout some of the episodes. Actually, I will even begin the pilot with that. I agree, the death part should have a bit more spice to it. That is also why I thought that's she'd be the one to get killed, because she'd be in that fragile position to fall, and he'd be the one supporting her weight. A roach appears, he starts to panic and tell her that they should stop, she ignores it and feels completely free and angelical in that moment and say something in a very calm and passionate way "No!! Do it for my fans, all for them, they deserve this! We're almost there!" Another roach appears near him and he say something "Oh my god!! I can't take this, it's too much for me!! ", his face is red, while at the same time his arms are shaking from supporting her weight. Then she says "We did it!!" and he faints at the same time. Then the screen goes black and we hear her fall and a neck break sound. After, in that black screen, we see the live chat comments where her fans are writing things like "WTF??? " OH MY GOD !!!" "WHAT HAPPENED???????????" "WTF????????" "PLEASE TELL ME SHE'S JUST SLEEPING!!!!!?????????" "EASY GUYS!!! IM SURE SHE JUST PASSED OUT WITH THE EMOTION!!!!!" During all this she's not seeing his face because her face it's on the opposite side, and her head is like almost upside down. All of that will also have repercussions in some of his future failed short relationships, since he'll be known by some people as the killer, especially those crazy fans she had lol. Anyway, that what I was thinking. Last edited by AmateurD; 04-06-2019 at 12:05 PM. I'm writing it, I have somes scenes already written for the pilot. Most stuff I write has a shorter length than a pilot, so this will take some time, but hopefully will get it done. This sounds crazy but I was feeling too much pressure because I wanted to get this done before the 15th April, so I could enter in both Page and Scriptapalooza screenwriting contest, but no way that is going to happen. Last edited by AmateurD; 04-06-2019 at 07:41 PM.